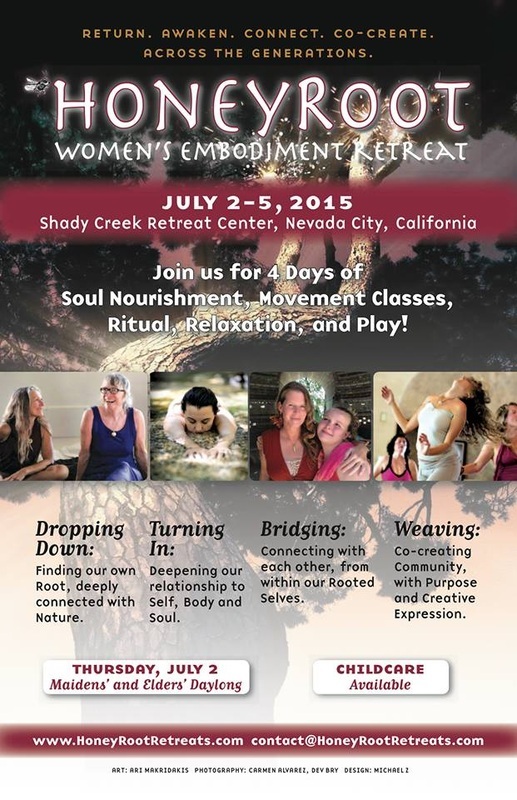 HoneyRoot Women's Retreats are celebrations of Fem-bodiment, Sisterhood, and Intergenerational Collaboration–a place to explore, expand, and truly inhabit ourselves as women; (re)treats for the Feminine Soul. HoneyRoot provides opportunities for us to open our bodies to the wisdom that lives inside each of us, and to our collective heart. Through an array of body-oriented workshops, healing ceremonies, performances, playtime, down time, and up time, we taste the Yes that lives in our bodies and our relatedness. _Come join us for this incredible weekend.